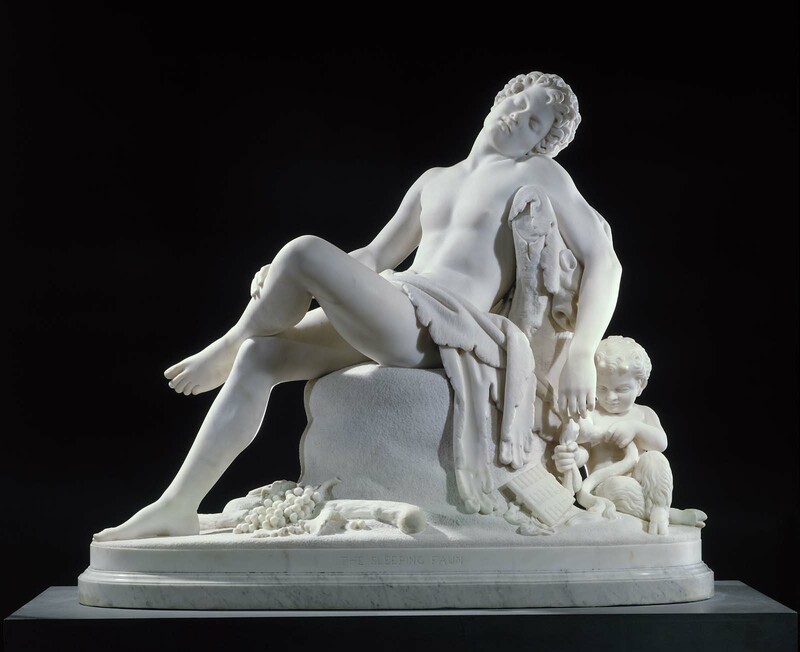 Exhibited before millions of visitors at international exhibitions, Harriet Hosmer’s depiction of an inebriated faun sprawled against a tree stump was one of her most highly acclaimed works. 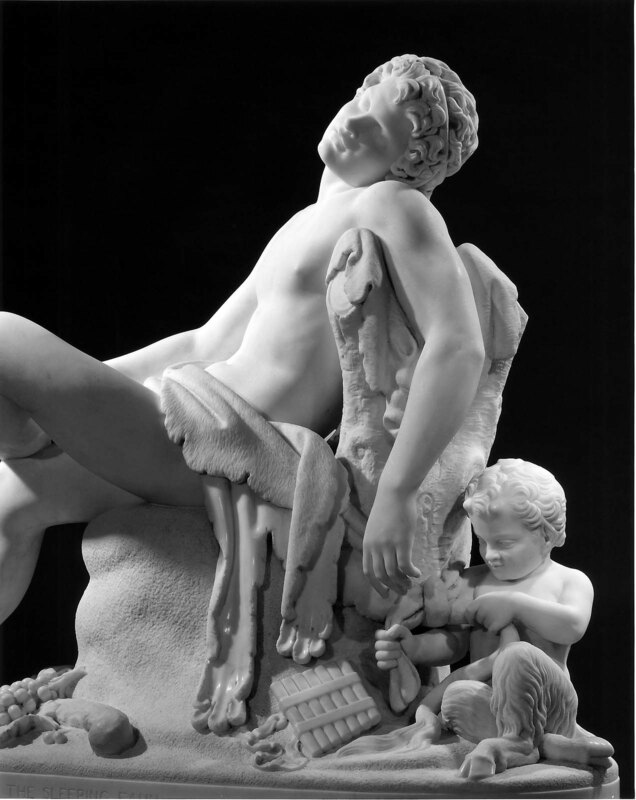 Contemporary critics agreed that Hosmer had captured the graceful curves and sensual finishes of Greek Hellenistic sculpture in the adolescent faun’s perfect proportions, smooth skin, and languorous pose, while at the same time evoking a mood of playfulness and whimsy. The bunch of grapes and the panpipe littered on the ground refer to the faun’s merry carousing, and his pointed ears and tiger-skin drapery indicate his animalistic nature. In counterpoint to his peaceful sleep, a mischievous satyr ties the faun to the tree stump with the ends of the tiger skin. Hosmer employed tremendous carving skill to create the varied textures of the faun’s sensual body, the rough tiger skin, the mossy forest floor, the firm grapes, and the satyr’s thick, curly hair. Mrs. Lucien (Cornelia Crow) Carr, Cambridge, Massachusetts; 1912, gift of Mrs. Lucien Carr (accession date July 18, 1912).